Last year I had the opportunity to give a talk and tour of the US Naval Observatory in Washington DC at the invitation of Demetrios Matsakis, the director of the U.S. Naval Observatory’s Time Service department. 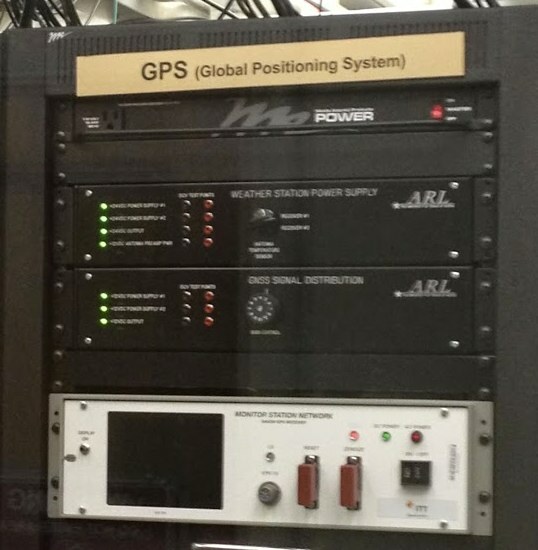 The Naval Observatory hosts the largest collection of precise frequency standards in the world, and uses them to, among other things, keep services like internet time and the global positioning system in your phone running correctly. The US Naval Observatory keeps track of time and distance in what seems like obscure ways, but these signals are used for some of the most widely trusted and life-critical systems on the planet. 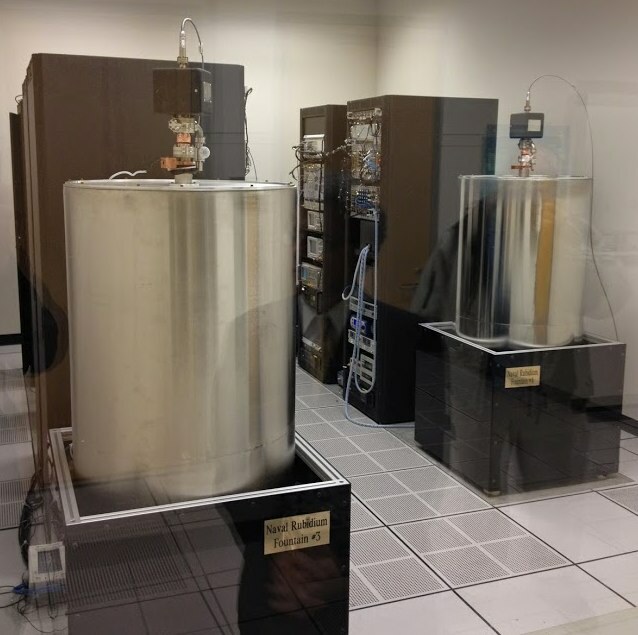 The observatory uses a series of atomic clocks, ranging from hydrogen mazers to cesium fountain clocks, which are averaged into the time signals we all use in synchronizing internet servers and finding our way with the guidance of our phones. In fact GPS would not be possible without the highly accurate time signals generated by the observatory, as time very literally equals distance when you are a satellite flying overhead at speeds that actually have to account for Einsteinian relativity. The Naval Observatory is also part of the larger network in the US that includes NIST and several labs around the world that contribute to the international standards of time like Universal Coordinated Time or UTC. These time standards are defined in collaboration: many of the world’s national labs send in how long a second lasts based on their clocks, and these seconds are then averaged to define the second for the month. But ironically, they do this in retrospect and sometimes add leap seconds, so they only know what the ‘second’ was last month, not this month. I am often asked when explaining the 10,000 Year Clock why we do not use an atomic clock, as they are often reported to be accurate to “one second in 30 million years”. But this does not mean they will last 30 million years; it is just a way to explain an accuracy of 10-9 seconds in everyday terms. These atomic clocks are extremely fragile and fussy machines that require very exact temperatures and deep understanding of atomic science in order to even read them. They sometimes only last a few years. Demetrios was also able to tell me more about some of the long-term timing issues that affect The 10,000 Year Clock. Because the Clock synchronizes with the sun on any sunny day, one of the effects that we have to take into account is the rate at which the Earth’s rotational rate may change from millennium to millennium. It turns out that the earth’s rotation can be greatly affected by climate change. If the poles freeze in an ice age, and all the water freezes closer to the poles, the earth spins faster. If the current warming trend continues and the poles melt extensively, the mass of the water around the equator will slow the earth’s rotational rate. All these changes affect where the sun will appear in the sky, and since our clock uses the sun to synchronize, it is an effect we have to account for. While this was all known to us, there is a counter effect that Demetrios told me about. It turns out that when there is less water weighing down one of the tectonic plates of the earth, it rises up higher, counteracting some of the mass altered by the shift in water. We will be investigating this further to see if it changes our calculations. Many thanks to Demetrios Matsakis for inviting me to the Naval Observatory, it was an honor to present to some of the most technical horologists in the world, and witness the place where the ephemerality of time is pinned down to just “one second in 30 million years”.